There’s no shortage of advice these days about aging — though in our culture, most of that advice seems to be about how to deny that it’s happening. Dye your hair, bleach your teeth, learn about Snapchat. Eat more antioxidants. 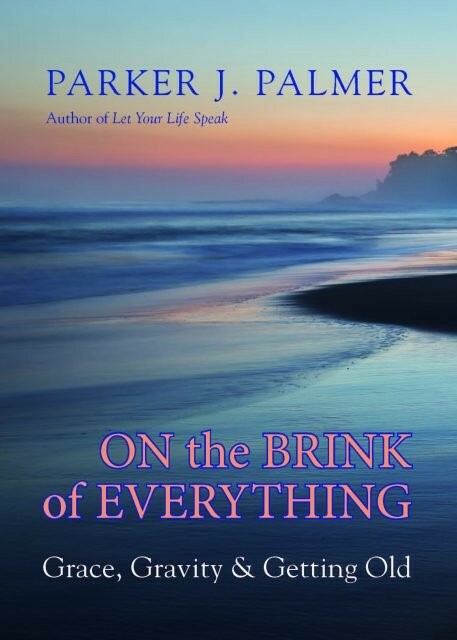 Parker Palmer’s new book, On the Brink of Everything: Grace, Gravity, and Getting Old, isn’t like that. 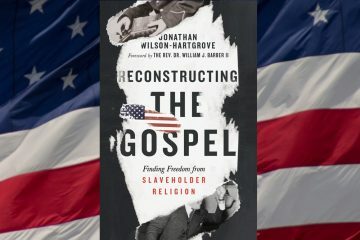 The Quaker writer and activist focuses instead on the spiritual gifts of aging that our youth-obsessed culture has largely ignored. For me, as I approach age 80, I’m “on the brink” of everything. What I mean is that from this vantage point of age and being metaphorically in a high place, on the brink, I can look back, I can look around, and I can look ahead and connect the dots in a way that allows me to discover something about my own life. I’ve led a very zig-zagged life when it comes to work, and had many kinds of jobs for which I wasn’t particularly prepared, because at the time they seemed right. The best example I can give is that I got a PhD from Berkeley in the late 60s, and got job offers to become a professor. But by 1969, the cities were burning, Vietnam was raging, and my heroes had been assassinated. So it seemed to me that my calling was to become a community organizer, working on issues of racial equity and justice. So there’s an example of one zig or zag among many. There was a period of time — a couple of decades, in my 30s and 40s — when I kept making those zigs or zags. People would ask me why and the best I could tell them was, “This is something I can’t not do.” I wasn’t a trust fund baby, and I had a family. I was facing all the real-world circumstances and had three kids. But I couldn’t not become a community organizer at a time when there seemed to be a compelling need that I felt called to meet. The discovery piece of aging is being able to look back and say, “Aha, that is how it all connects.” If I can use the metaphor of a tapestry that you have been and are still weaving, I can also say that there are ugly threads of failure or misunderstanding. But looking back, you can see how those become an integral part of the weave, not only adding beauty but also contrast, and they strengthen the resilience of the fabric. These are things that I couldn’t see in my 30s, or even into my 60s. When you discover these patterns in your life, then you can look around you with new eyes, and look ahead with more perceptiveness, with your feet on the ground, and not be carried away by fear. I can’t imagine a sadder way to die than realizing I never showed up in this world as myself. That would be a particular kind of psychological pain that I would find almost unbearable. If you can say you showed up, more often than not, with your heart in your hand, you can die with a certain sense of satisfaction. You have become what you were meant to be. There’s a whole existential crisis that many people feel when they come to the end of the road of whatever has brought them meaning and purpose. For some, that’s because they’ve been compelled to retire from work. Or perhaps a person who has been devoted to raising children, which is one of the most important jobs in the world, finds that his or her children have left home, and is left with questions of meaning and purpose that they don’t know how to answer. I think we give people very little help in distinguishing the job they do and the vocation they have. It’s partly that our educational system trains people for the workforce, but very rarely do we start preparing people for a meaningful life after “the job” goes away. The job I’m doing every day for money is not necessarily my vocation — my calling, the reason I was put here on earth. Maybe their job is not simply child-rearing, but caring for the growth and development of other human beings. If you put it that way, there’s no need to ever leave your post unless you want to, because people who need that kind of support are legion. I have a whole section in the book on the importance of intergenerational relationships. When older people do tend to reach out to a younger person, our tendency is to say, “Sit down, young man or lady! I’m going to give you the recipe for success.” But when you get to that age, you have a very mixed record of failure and success. This thing of always giving advice is deadly because it kills off any chance of relationship. The thing to do is listen, to hear them into speech. Young people suffer deeply from feeling they’re not listened to; they’re not seen as who they are. When an elder expresses generous interest and doesn’t immediately fall into advice mode, that builds relationship. That’s step #1. Step #2 is dealing with failure, and telling them not to be afraid of it. Factoring failure into your story is not only honest but also reassuring to young people. I have learned so much more from failure than I have from my successes. For my successes, I pat myself on the back. But when I fail, that’s when I stay up late at night chewing on things. That’s when deep learning happens. Failure is a big teacher and also a big thing to model with younger folk. The older I’ve gotten, the harder it becomes not to think about my own mortality. When you’re in your 20s and 30s and 40s, it’s a lot easier to pretend that you’re going to be the exception, that you’re not going to die. Teenagers think they are bulletproof. But we carry that habit for quite a long time. As a writer I used to spend 15 hours a day at the keyboard when I had something hot going. These days, I don’t do that. I’ll instinctively get up from my chair, get outside, and take a little walk. Or if it’s winter, I’ll sit in an armchair and look outside at the weather in Madison, Wisconsin for a while before I return to my work. St. Benedict said to “Daily keep your death before your eyes.” No matter how rich or important and famous you are, there is death coming. Two things happen when we meditate in a healthy way that our lives are finite. One, we become more appreciative of life and its gifts. Two, we can prepare ourselves for the Big Death by embracing all the little deaths that come our way: the death of a dream, of a relationship. Instead of trying to avoid thinking about those things, it’s important to embrace the motto, “If you can’t get out of it, get into it.” There’s no way out except in and through. As you do that, as you embrace the little deaths, your heart becomes less brittle, more supple. These deaths are more likely to break your heart open than to break it apart. These little deaths allow us to exercise our hearts in the same way a runner exercises a muscle so that it won’t snap while running. In the section on “Keep Reaching Out,” there is a fair amount of politics. In the context of what is happening right now, it’s not only a disgusting spectacle, but it’s fundamentally damaging to our democracy. The only answer is to reclaim the concept of “we the people.” We are falling prey, big time, to the old divide and conquer strategy, which is aimed squarely at “we the people,” so that we will become so fragmented that we cannot stand united. This is not a problem of any one party or administration, though it’s going on today more than ever in my experience. But that’s not the real issue. The real issue is: are we going to put up with it, and succumb to these tactics? Are we going to allow “we the people” to be taken apart and left in fragments and shards? So that’s the real political message I want to advance: Do not give up your citizenship. Elders get the message that they’re over the hill and out of the game. But they still have a voice and gifts to give. Parker Palmer’s writing has changed many lives in the last three decades, particularly the bestsellers The Courage to Teach and Let Your Life Speak. He is a regular columnist for On Being and was the founder of the Center for Courage & Renewal.